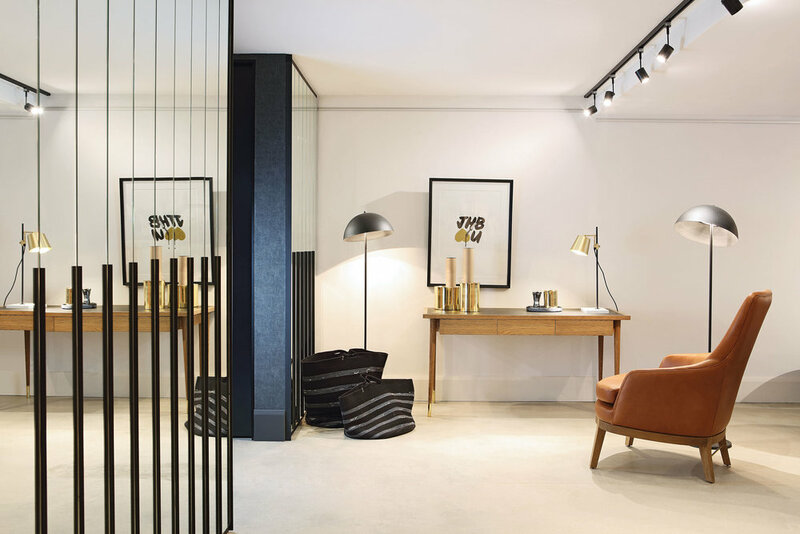 HesseKleinloog was commissioned to design the flagship Anatomy Design Store in Rosebank. 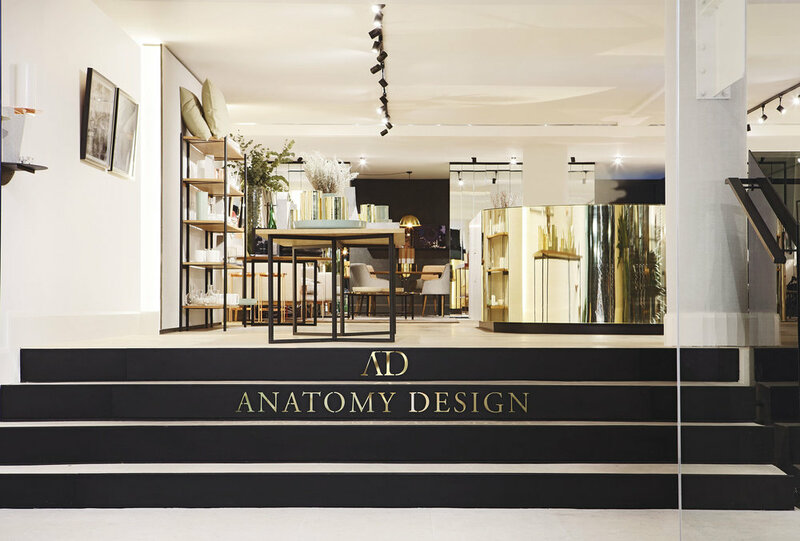 Anatomy Design is a Johannesburg-based retail business that designs, showcases and sells an exclusive range of premium, locally-manufactured furniture and homeware items. 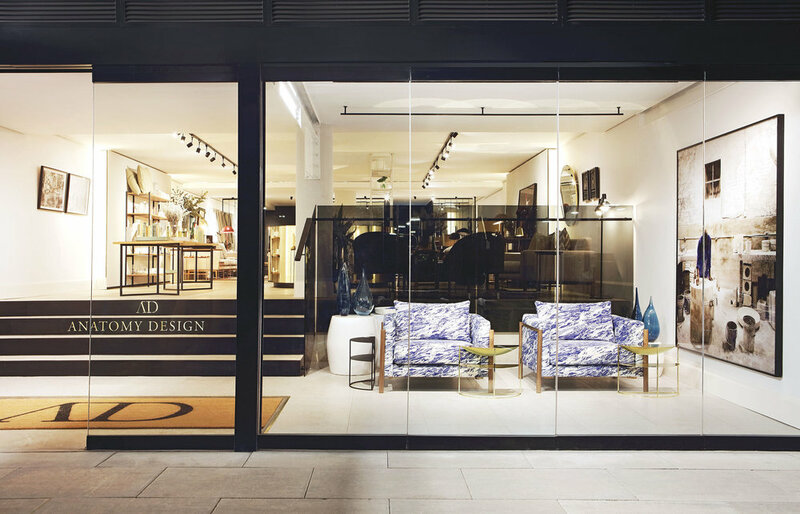 They distribute a limited range of aesthetically complementary furniture, homeware and prints that are designed and produced by South African and international artists and makers. 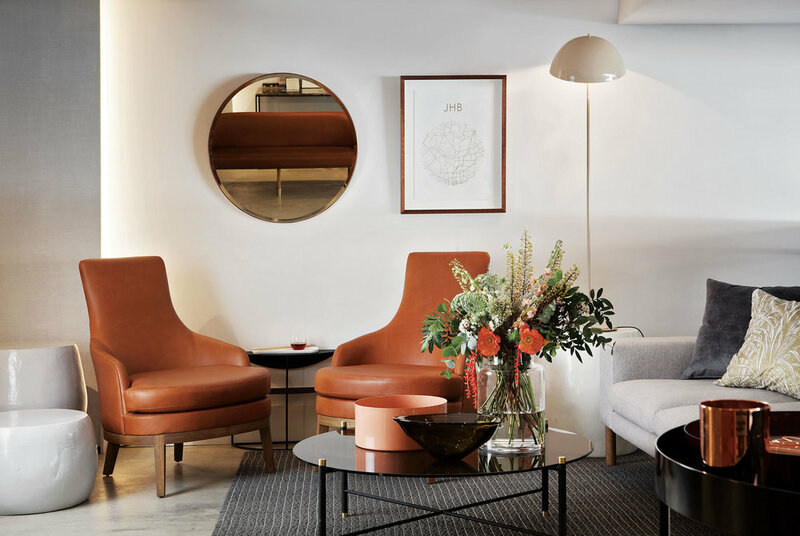 There are a number of thoughtful details woven into the detailing of the space - from the brass lettering on the stair case leading in from the entrance, to gentle washes of light through the use of recessed lighting. It was important to provide flexibility, without compromising a careful consideration to every area. 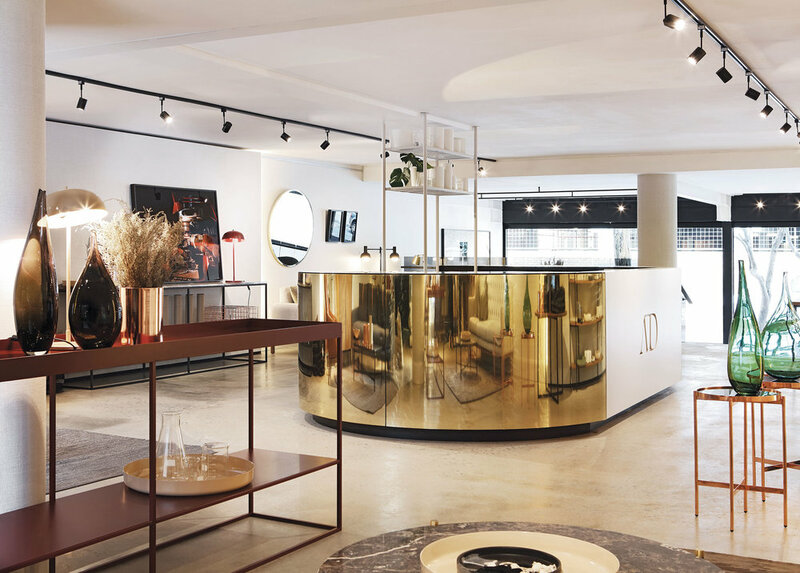 The bold, brass clad reception counter was designed to be the focal point of the store - to make sure that the team can assist customers at any time, whilst not feeling intimated. 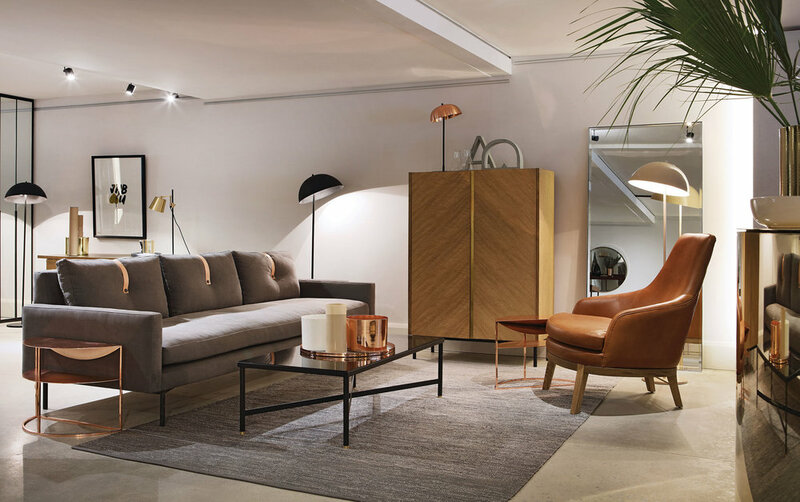 The space also accommodates a meeting room to facilitate the tailoring of furniture and schemes to clients requests. Anatomy Design a beautiful landmark, standing proudly on the vibrant Keyes Art Mile.